If you live in the USA, buy a Eurail pass at www.raileurope.com or www.eurail.com. If you live in Canada, buy a Eurail pass at www.raileurope.ca or www.eurail.com. If you live in NZ, buy from www.raileurope.co.nz or www.eurail.com. If you live in India, buy from www.raileurope.co.in or www.eurail.com. Before we start, which of Europe's two great railpass ranges applies to you? If you live in Europe, you qualify for an InterRail pass, so hop over to the InterRail page. This page will talk you through how to buy & use a Eurail pass, and whether a Eurail pass or point-to-point tickets is best for you. I'll try & tell it like it is, you may find cheap train tickets a better deal. What is a Eurail pass & who qualifies? Point-to-point tickets or Eurail pass? - read this before buying a pass! When do you need reservations or to pay extra fees? Country-by-country guide: Which trains does Eurail cover in each country? When are reservations needed & how much are they? Why explore Europe by train? Whether you use a Eurail pass or buy cheap advance-purchase tickets, the train is the best way to tour the cities of Europe in comfort, relaxed, seeing a lot in a short time. 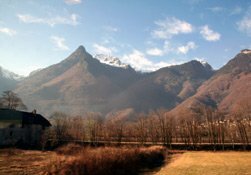 It's not just about transportation: Train travel is part of the European way of life, and the train rides are an experience in itself - in some cases a highlight of your trip. A Eurail pass gives you unrivalled freedom & flexibility, or you can buy 'budget train fares' by booking in advance from the relevant operator, just as you would with a budget airline On this page I explain both options. Above: Scenery from a Milan-Paris TGV, feet up & glass of wine to hand. In Europe, cars and city centres don't mix. Hiring a car is a great way to explore the countryside & villages of Tuscany or the Dordogne (indeed, I'd recommend it! ), but to visit cities such as Paris, Rome, Prague, Barcelona or Budapest, hiring a car is a mistake. It's not like driving in the States. In overcrowded Europe, driving on busy motorways is tedious. European cities are congested & parking non-existent or expensive. There may be fines for entering traffic-free zones. Some car hire companies won't let their cars cross borders, others charge prohibitive fees for one-way cross-border rentals. A 1-hour flight takes up to 4 hours once you include the bus or train to the airport, 2-hour check-in, flight, then more airport hassle and another bus, train or taxi into town. More importantly, if you fly you miss out on the European journey experience: It's not just transport from A to B, the train ride lets you chill out, read, chat, work, meet people and experience Europe - it can even be a highlight of your trip. If you fly you must factor in the significant extra cost of airport transfers & baggage fees. And don't forget that short-haul flights cause disproportionate environmental damage. Relax by train, city centre to city centre on a vast rail network covering almost every town & city, with a range of departures every day. Trains run at up to 200 mph (320 km/h), faster than flying for journeys such as London to Paris (2h20), Paris to Amsterdam (3h20), Paris to Geneva (3h05), Barcelona to Madrid (2h38) or Rome to Venice (3h45). Even Paris-Barcelona (6h20) is better by train, with great scenery centre to centre compared to 5 hours of RER train, airport, soulless flight, airport, then Spanish metro train. Sleeper trains are an experience, covering huge distances while you sleep, such as Paris-Venice, Zurich-Prague or Prague-Krakow, city centre to city centre, saving a hotel bill & avoiding the 4 or 5 daytime hours wasted by flying. 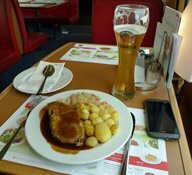 Trains are low-hassle, low stress, with loads of legroom, you can wander to the bar or restaurant. Or feel free to bring your own picnic and your own bottle of wine or beer, it's allowed on trains! Eurail is not a train operator and there no special Eurail trains. 'Eurail' is simply the brand name for the railpass range for overseas visitors for travel on normal scheduled European train services, offered by 31 national train operators working together - see the list of participating countries below or see the Eurail map. In fact there's a small marketing team based in Utrecht in the Netherlands who manage the Eurail scheme on behalf of the 31 national train operators. They run the official Eurail website www.eurail.com. You can choose a Eurail pass giving unlimited travel for various periods of time on the national rail networks of just one of the 31 participating countries (a one-country pass) or all 31 countries (a global pass). Unlimited travel means unlimited - you can use 1 train or 20 trains a day, going 10 miles or 800 miles, it doesn't matter. The different types of Eurail pass are explained here. Eurail passes allow you to travel on all the normal scheduled trains run by the national train operator, whether high-speed, inter-city, overnight, local, regional or suburban. To understand how Eurail passes work, the trains which they cover, and the little matter of reservations & extra fees, see the explanation here. There are a handful of other railpasses worth knowing about as they are sometimes better value than Eurail, for example the Swiss Pass, German Railpass & Renfe Spain Pass. These non-Eurail passes are all explained here. Who qualifies for a Eurail pass? It's residence that matters, not nationality: You can buy a Eurail pass if you are resident outside Europe, for example in the USA, Canada, Australia, New Zealand, Asia or Africa. You must buy a Eurail pass before you get here, you cannot buy Eurail passes when you get to Europe. If you live in Europe or in Turkey, Russian Federation, Morocco, Algeria or Tunisia you cannot buy a Eurail pass, you qualify for the InterRail pass range instead. InterRail passes cover exactly the same countries & trains as Eurail, with the same fees for the same reservations, so an American and a British traveller can easily travel together, one using a Eurail pass, the other an InterRail pass. Austria, Belgium, Bosnia, Bulgaria, Croatia, Czech Republic, Denmark, Finland, France, Germany, Greece, Hungary, Ireland, Italy, Lithuania, Luxembourg, Macedonia, Montenegro, Netherlands, Norway, Poland, Portugal, Romania, Serbia, Slovakia, Slovenia, Spain, Sweden, Switzerland, Turkey & (new from 2019) the United Kingdom. Eurail does not cover the Albania, Ukraine, Belarus, Russia, Moldova, Latvia or Estonia. See map of countries participating in the Eurail scheme. Adult - which should be self explanatory. Senior - for anyone aged over 60 on the first day of pass validity - 10% less than the adult price, new from January 2019. Youth - for anyone aged under 28 on the first day of pass validity - it used to be under 26 until 2017. Child - for kids aged under 12. Children 4-11 inclusive get a free Eurail pass when accompanying someone on an Adult pass, although they still need to pay any relevant reservation fees. On some retailer's website this is shown as 'family'. Note that you have to have an Adult pass to get the free Child passes, you can't get them with Youth or Senior passes. Infants - children aged under 4 travel free on trains anyway and don't need any pass, nor do they pay any reservation fees. In some countries the age limit for infants is 5 or even 6, so don't pay if you don't have to, see the age limits for each European country here. A Eurail Global pass covers all 31 participating countries, see the list or see map of rail network in the Eurail countries. A Eurail Single-Country pass covers just one country of your choice. A Eurail single-country pass now exists for each participating country except Switzerland. A one-country pass is cheaper than buying a global pass covering all the countries. If you're just visiting Switzerland you can use a Swiss Travel Pass instead. You can buy Eurail passes giving unlimited train travel for various periods of time. But you need to get your head around two different concepts. Continuous passes give unlimited travel every day for a continuous period of time, either 15 days, 22 days or 1, 2 or 3 months, starting on any date you like. These give the ultimate in freedom and flexibility, but to make them worthwhile you need to be on a train every day or two. Flexi passes are more economical if you plan to stay put for a number of days between each train ride. Flexi passes give 3, 5, 7, 10 or 15 days unlimited travel within an overall 1 or 2 month period. For example, take the 5 days in 1 month pass: The overall 1 month starts ticking on the date you validate your pass at a station, you can then 'spend' each of your 5 days of unlimited travel any time during that 1 month period, on whatever dates you like, just by writing the date in one of the 5 boxes printed on your pass each time you want to use one of your travel days. All the one-country passes are of this flexi type. You can look up the available pass types, time periods and prices at the official Eurail website, www.eurail.com. As from 2019, you can choose 1st or 2nd class with any pass type. 2nd class is absolutely fine, it's the way we Europeans generally travel - unless the Company is paying! Many local trains are 2nd class only, and on many (though not all) sleeper trains you can access all accommodation types (even deluxe sleepers with en suite toilet & shower) with just a 2nd class pass plus the relevant sleeper supplement. But 1st class seating is available on most longer-distance trans and if you can afford it, 1st class is obviously nicer, with wider, plusher seats, more legroom. In 1st class there are usually more businessmen tapping on laptops and fewer families with kids. Don't assume 1st class gets you any food or drink or free limo transfers or complimentary massages or whatever, this is not an airline. Your default assumption should be that 2nd class seating is nice, 1st class seating is nicer, and it's normally just the nicer seating with fewer people per car that you're paying for when you go 1st class. Sometimes a 1st class pass will get you into a first class lounge at a station, but sometimes it won't. What's the difference between 1st & 2nd class? That may help you decide! As well as the large and well-known Eurail pass range, several countries do their own non-Eurail pass, which can be worth checking. The Swiss Travel Pass competes with the Switzerland one-country Eurail pass, although it now costs a bit more than Eurail for very little additional coverage. The Renfe Spain Pass is worth considering as a better bet than the Eurail one-country Spain pass. German Railways (DB) also offer a German Pass. I've summed these up here. They're priced in euros, but obviously you can buy in your own currency. You can check these prices and buy online at the official Eurail website www.eurail.com. As I write this, 1 USD = €0.88, 1 AUD = €0.61. Check current exchange rates. Pass prices vary only slightly between retailers, although you also need to check delivery costs as some retailers deliver for free, others charge a delivery fee. Should you buy a Eurail pass or point-to-point tickets? Forgive me for saying so, but overseas visitors sometimes seem brainwashed into thinking that taking a train in Europe has to mean buying a Eurail pass. Of course it doesn't. Anyone connected to the internet can buy the same cheap point-to-point tickets that we Europeans buy, at the same prices, direct from the same train operator websites that we use. Many visitors are surprised to learn that European trains now work like airlines, with dynamic pricing depending how far ahead you book and how popular that day or date is, with really cheap fares if you book in advance direct with the relevant operator & commit to a specific train. If you have a pre-planned fixed itinerary, these cheap advance-purchase train fares are almost always the cheapest option. For example, a 15-days-in-2-months Eurail pass works out at €33 per day for unlimited flexible train travel across most of Europe - or just €25 if you're aged under 28. That's great value. But if all you want to do on a given day is go from Prague to Vienna and you're happy committing to a specific date and train in advance, point-to-point fares start at only €14 with a cheap advance-purchase ticket, no refunds, no changes, specified train only. On the other hand, if you don't want to commit to a specific date & time a month in advance, the full-flex fare from Prague to Vienna is around €44 and now the pass saves money, even for just that one journey. Thanks to the internet, you can buy these cheap advance-purchase fares from any computer, tablet or smartphone in the USA or Australia just as easily as I can from the UK, following my journey-specific advice on the How to Buy European Train Tickets page. (d) Mix & match these options: Combine a Eurail pass with regular tickets for short hops or pre-planned longer journeys. If you can book 2-3 months ahead, only plan to make one journey per travel day, have a fixed itinerary so know your exact dates and are happy to commit to specific trains on a no-refunds-no-changes-to-travel-plans basis, it's usually - in fact almost always - cheaper to buy cheap advance-purchase point-to-point tickets direct from the relevant operator, following my journey-specific advice here. Rome-Florence starts at €19.90; Rome-Venice from €29.90, Paris-Nice from €25; Paris-Amsterdam from €35; Amsterdam-Berlin from €39.90; Berlin-Prague from €19.90; Prague-Budapest from €21; Venice-Vienna from €29; Vienna-Salzburg from €9. In fact, if you used a pass for Rome-Florence or Paris-Nice you'd have to pay a €10 passholder reservation fee! Point-to-point prices always include any compulsory reservation. Just note the word 'from' as these advance-purchase point-to-point prices vary like budget airline fares depending how far in advance you book and how popular that date or train is. If you needed to go tomorrow, the pass might be cheaper! So if you don't really need the unlimited train rides, unlimited distance and unlimited flexibility that a pass give you, you can save a lot of money by buying cheap train-specific advance-purchase tickets instead. Overseas travel agents often don't know about these cheap advance-purchase train fares, and overseas ticketing agency sites (even well-advertised ones like Rail Europe) often can't access the cheap fares for every route. For example, the ONLY two websites that can sell those €21 tickets from Prague to Budapest are the official Czech Railways website - so you must use the actual train operator website for each specific journey, or a reliable agency that I recommend on this site as having a direct connection to the relevant operator- did I mention that you should follow my journey-specific advice here? Cheap advance-purchase tickets commit you to specific dates & trains with limited or no changes to travel plans allowed. A pass may well save money over longer-distance full-flex fares bought at the station, if you travel far enough each day, even if it costs more than cheap advance-purchase fares. For example, Amsterdam-Berlin starts at €39.90 booked way in advance, but the full-flex fare bought on the day is around €130, so a €33-to-€72-per-day Eurail pass saves a lot of money! For a long trip, say several weeks exploring every major city in Europe, or a very long journey such as London to Istanbul, I'd recommend buying a railpass even if advance-purchase fares would be cheaper, to eliminate risk. If you booked a long & complex itinerary with cheap advance-purchase tickets (which become worthless if you miss the booked train) it could all collapse like a house of cards if a fire, flood, strike or security alert cancelled one of the trains, forcing you to buy new tickets at expensive on-the-day prices for the rest of your itinerary. A Eurail pass removes this risk and allows you to flex your dates, trains or even routes as necessary. Mrs 61 and I once travelled from my in-laws' in the Netherlands to Italy using a railpass. The day before our return journey a train crash in Belgium blocked our planned Milan-Paris-Rotterdam route. With our passes we easily diverted via Milan-Zurich-Cologne-Rotterdam. The Youth Eurail pass compares very reasonably with even the cheapest advance-purchase fares, for example the 10-days-in-2-months youth global pass works out at just €30.70 per day for unlimited flexible travel all across Europe. For one or two or three specific journeys, I'd still buy advance-purchase tickets, but for anything more than that consider the pass. Even if it costs a few euros more, the extra flexibility is worth it, giving you the ability to change your mind or divert via another route or train if something goes wrong with one leg of the itinerary. Incidentally, the age limit for Youth passes changed in 2017, anyone under 28 now qualifies for a youth pass, previously it was under 26. The free Eurail passes for children may swing the balance towards buying a pass, even for a pre-planned itinerary. Now you really have to do the maths, as shown in the next section. Why not mix-and-match a pass with budget train tickets, to save money on pre-planned parts of your trip? For example, for 11 days of train travel in Europe, it's cheaper to buy a 10-day Eurail pass plus one point-to-point ticket for the shortest/cheapest of all your train rides, than to buy the next pass size up, which is a 15-day pass. Or if the start of your trip is known and fixed, but you want to stay flexible for the rest, you could buy a cheap ticket for the first journey or two, then use a railpass. And if your plan includes a few short hops, use cheap local point-to-point tickets for those, and buy a cheaper pass with fewer unlimited travel days. Step 1, see which Eurail pass is relevant to you and work out what it costs per day..
You may need to pay reservation fees for certain trains in addition to the cost of the pass. The cost can be significant if you're visiting the pass-unfriendly countries, but might be negligible if you're visiting pass-friendly countries. Pass-unfriendly countries: For almost any inter-city journey in, starting in or ending in France, Italy, Sweden, Spain & Portugal, a reservation has to be made and a fee paid, which you can reckon as being €10 for every train ride. Pass-friendly countries: On the other hand, for most train journeys in the UK, Netherlands, Belgium, Luxembourg, Germany, Switzerland, Austria, Denmark, central & eastern Europe, seat reservation is optional and there's nothing extra to pay on top of the pass unless you want a reserved seat, or a couchette or sleeper. If you want to travel to or from London, Eurail passes now cover the London-Paris & London-Brussels Eurostar on payment of a special cheap passholder fare, for full details see the Eurostar page. To qualify, your Eurail pass only needs to cover the country at the start or finish of the journey. So even a single-country France or Benelux pass allows to to book a cheap Eurostar trip to London. If you have kids, they get a Eurail pass for free, so this might tip the balance towards a pass. Step 3, now work out point to point fares following the advice on the How to buy European train tickets page which tells you which website to use for which European journey to get the cheapest prices, based on the city in which that journey starts. Don't use a ticketing agency in your home country to work out point to point fares, or rely on 'point to point comparisons' made by people trying to sell you a railpass - overseas agencies often can't access the cheap fares for every operator. For example, the only place you can buy the €20 fare from Prague to Budapest is the Czech Railways website, absolutely nowhere else. Anyone from any country can buy these cheap tickets, it doesn't matter where you live. So I repeat, follow the advice on the How to buy European train tickets page. If you know your dates, have a fixed itinerary and are prepared to commit to a specific date & train, you can compare the pass with the cheapest advance-purchase rate you see on the online booking systems, which will usually be train-specific with limited or no refunds or changes to travel plans. You'll usually also see a more expensive fare called standard or Standardpreis or Flexpreis or 'base' price or similar, which is the top-of-the-range fare which you'd pay at the station on the day. So if you demand flexibility, this is the price with which to compare the cost per day of a pass. Yes, a Eurail may well save money over these expensive on-the-day full-price fares, depending on how far you travel. Railpasses only make financial sense for Italy if you plan to travel a significant distance every day, or perhaps make two medium-distance trips every day, which few people do. I find people typically go from Rome to Florence, then Florence to Venice, then perhaps Venice to Milan or Cinque Terre, 1 trip per day. A 3-days-in-1-month Eurail Italy pass is €127 for an adult = €42 per day = €52 per day with a €10 reservation fee added. The youth pass is €105 = €35 per day = €45 per day with the reservation fee added. A 5-days-in-1-month Eurail Italy is costs €176 for an adult = €35 per day = €45 per day with a €10 reservation fee added. The youth pass is €146 = €29 per day = €39 per day with the reservation fee added. With point-to-point tickets Rome-Florence costs €50 if bought on the day at the full-flex base price. If you book in advance and commit to a specific train, fares start at just €19.90 at www.italiarail.com or www.trenitalia.com. Prices from Florence to Venice are similar. A longer journey from Rome to Venice costs €87 one-way at the full-flex base price, so even a 3-day pass saves money. But few people travel this distance every day, and you can pre-book tickets for this journey at www.italiarail.com or www.trenitalia.com from €29.90. So for Italy, only buy a pass if you have done the maths and remembered the €10 passholder reservation fee for every fast train. Many people buy a railpass to tour the great capitals of central & eastern Europe: Berlin, Prague, Bratislava, Vienna, Budapest. A 5-days-in-1-month adult Eurail global pass costs €281 - if you used all 5 days that'd be €56 per day. The youth pass is €216, which is €43 per day. You can go to the Czech or German railways websites a month or two in advance and buy a ticket from Berlin to Prague from €19.90, specific train only, no refunds, no changes to travel plans. Full-price on the day is around €72. You can go to the Czech Railways website even a few weeks in advance and buy a ticket from Prague to Vienna for €19, specific train only, no refunds, no changes to travel plans. Full-price on the day is around €44. You can go to the Austrian Railways website even a few weeks in advance and buy a ticket from Vienna to Budapest for €19, specified train only, no refunds, no changes to travel plans. Full-price on the day is around €39. Summary: The cheapest way to make such a tour is with cheap advance-purchase tickets, by a significant margin, whatever your age, assuming you are happy to pre-book and commit to specific dates & trains. But if you want to stay flexible and are under 28 years old, a pass can save money over full-flex on-the-day prices. On the other hand, if you're over 28 you're still better sticking with regular tickets even if you pay full price at the station. Eurail passes now cover Eurostar (London-Paris), but you have to pay a passholder fare of €30 in standard class or €38 in standard premier (1st) class. Thalys (Paris-Brussels-Amsterdam) charges a hefty €20 passholder reservation fee for Paris-Brussels or €25 Paris-Amsterdam, with even these passholder places limited by quota, meaning you'd better book in advance even with a pass in case the quota runs out. If you book this through an agency, they'll charge you a €10 fee for selling you the €20-€25 fee. Booked 2-3 months ahead, you can buy Paris-Brussels Thalys tickets from just €29 or Paris-Amsterdam tickets from just €35 including reservation direct from www.thalys.com with no added fees. I would think long and hard before choosing to make a London-Paris-Brussels-Amsterdam circuit using a pass rather than advance-purchase tickets. Go to my How to buy tickets page and select the city in which each planned journey starts, to see which website to use to book it. European trains normally open for reservations 90 days before departure or in a few cases 120 days and in eastern Europe only 60 days, Most websites will only show train times & ticket prices when booking has opened. If your European trip is still many months away, simply pick a random date in the next 60-90 days and check fares for that date. The prices won't change much! Full-flex fares for international journeys in eastern Europe can be difficult to find online, so here are some approximate fares as a rough guide. These are all one-way adult 2nd class fares. 1st class fares are usually 50% more. Children under 12 travel at half fare - although the child age limit varies by country. You will need to add sleeper & couchette supplements to these basic fares just as with a rail pass. * Cheap advance-purchase fares are available from just €19 on daytime trains if you pre-book using www.cd.cz & print out your own ticket! ** Cheap advance-purchase fares are available from €19 if you pre-book online at www.oebb.at for departures from Vienna or from €13 at www.mavcsoport.hu for departures from Budapest. *** You can buy special fares from €49 including a bed in 2-bed sleeper online at www.mavcsoport.hu, see the advice here. **** You can buy a €15 Belgrade Special fare any day, any departure, online at www.mavcsoport.hu, see the advice here. How do Eurail passes work? You don't need to specify exactly what date you want your Eurail pass to start when you buy it. The pass validity will start on whatever day you validate it at a station in Europe, which can be done any time in the 11 months after you buy it. So even if you bought your pass in March to use in July, then had to postpone your trip until September for some personal reasons, this wouldn't be a problem - you'd simply keep the pass and validate it when you got to Europe in September instead. When you get to Europe and want to start using your pass, you need to 'validate' it at any main station, just before you get on your first train. You do this by going to the ticket office, where the booking clerk will enter the start date on your pass. Your Eurail pass is then ready to use and the overall pass period starts ticking. It really is that simple! Continuous type Eurail passes are then valid for unlimited train travel every day through the whole pass validity period. Flexi type Eurail passes give you a certain number of unlimited travel days during the overall pass validity period, which is usually 2 months starting on the date you validate the pass. If the number of days is, say, 10, there will be 10 empty boxes printed on your Eurail pass. On a day when you decide to use one of those 10 days of unlimited travel, you simply write the date in one of the boxes in ball-point pen. You now have unlimited train travel from midnight to midnight on that date. You do not have to decide in advance which 10 days these will be, you can decide as you go, simply writing the date in a box each time you want to 'spend' a day of free travel, until all your boxes of free travel are used up. Simple! Tip 1: It's a beginner's mistake, but even if you have a fixed itinerary, don't pre-date all your boxes for the dates you think you'll need them at the beginning of your tour. Unexpected things can always happen, and once you have written a date in a box, you cannot change it. Write in the dates as you go along. Tip 2: You aren't forced to use your pass for every train trip you want to make. For example, if you wanted to make a day trip from Florence to Pisa, it's more economical to buy a regular ticket for €16 than use a valuable day on a pass which might be worth €40 per day, assuming that you can save that pass day for a longer trip where it would be better value. On the other hand, if you bought a 5-day pass and only planned to make 4 longer distance trips, you may as well use the spare 5th day for this day trip! Unlimited travel really does mean unlimited travel. I'm not sure which part of 'un' people don't understand, the 'u' or the 'n'! You can take as many trains as you like between midnight and midnight that day, 1 train or 20 trains, 10 miles or 800 miles, you can stay on trains all day of you really want to. Though there may be seat reservations or small supplements to pay on certain trains, more about that below. Your pass comes in a cover, and printed on that cover is a travel diary. Each time you take a train, you need to record the date, where it's from and where it's to, in black or blue ink - that's in addition to filling in the travel date on the pass itself if it's a Flexi-type pass. The railways use this as market research, helping them to divide up the Eurail revenue between operators. In theory there's a fine if the conductor finds that you haven't filled it in, but in practice most conductors will simply ask you to do so if you haven't. However, there's always the risk that you'll meet a jobsworth, so play safe and fill it in while you're waiting for the train or as soon as you get on. From January 2019, the old 'After 19:00' rule is replaced by a much simpler rule for overnight trains for 2019 and beyond. A Flexi pass day normally runs from midnight to midnight. But if you board any overnight train before midnight, and do not change trains after midnight, you only need to use one day on a Flexi pass, the day of departure. It no longer matters what time your sleeper train leaves on day 1, or what time it arrives on day 2. The date you write on your pass is that of day 1. As normal, you get unlimited travel from midnight to midnight on day 1, so can catch other trains on day 1 before boarding your sleeper, all on the same pass day. You can then continue your journey on that direct overnight train until you get off at your destination on Day 2. The only proviso is that you cannot change trains after midnight, and that both the departure day and arrival day must fall within the overall validity period of the pass. For example, if you wanted to take the Dacia Express leaving Vienna at 19: 42 on the 1st August and arriving Bucharest at 16:06 on the 2nd August, you'd enter the date of departure, 1st August, in one of the unlimited travel boxes on your pass, and that then covers the whole of the sleeper train journey, even the part on 2nd August, in this example in the afternoon! And as you'd then have unlimited travel all day on the 1st August, it would also cover you for a journey that same day from (say) Prague to Vienna to connect with the sleeper. On the other hand, if you wanted to take an onward train on 2nd August after alighting from the sleeper, that means using up another travel day on your pass, this time dated 2nd August. But even if you don't use any other trains on 2nd August, that day of arrival still needs to fall within the overall validity period of your pass, in other words, if you had a 10-days-in-1-month flexi pass the 2nd August must be inside the 1 month period, it cannot be Day 32 just outside it. Got it? What trains can you use with a pass? A Eurail pass gives unlimited free travel on all the normal scheduled train services run by the national train operator in each of the countries it covers, although you'll need to make a reservation and/or pay a supplement on some trains, see the country-by-country guide. See map of rail network in the Eurail countries. Eurail passes also cover many (but not all) private operators in Switzerland and a few other countries, as shown in the country by country guide. Map of rail network in the Eurail countries. You may be given a small timetable booklet with your pass. People often think that the trains in the booklet are the only trains you're allowed to take with your Eurail pass. Nonsense, of course not! You're allowed to use any regular scheduled train run by the operators covered by your pass, whether it's in that booklet or not! Top tip, download the Railplanner App... I recommend downloading the Railplanner App for your smartphone from eurailgroup.org/travellers-area/#railplanner. This is this a great Europe-wide timetable app which you can use to check train times whilst on the move - the timetable works offline, so no data cost issues. The app also does passholder reservations for Eurostar, Thalys & Trenitalia high-speed trains. Eurail passes don't cover city buses, trams & metros... Eurail passes don't give free travel on buses, trams or metros in big cities as these are generally run by urban transit authorities, not the national train operator. If you want unlimited Paris metro travel for a day or more, you can buy a Paris Visite card for US & Canadian travellers, or a Paris Visite card for Australian, NZ, Asian or African travellers. Eurail passes don't cover some private train operators... For example, passes don't cover the Euskotren narrow-gauge local trains in Spain, the Circumvesuviana railway Naples-Pompeii-Sorrento or the Jungfrau line in Switzerland. Nor do Eurail passes usually cover the private operators who now compete with the state-owned national train operator on a handful or routes, such as Italo high-speed trains in Italy which compete with the national train operator Trenitalia - as a passholder, you have to use Trenitalia. Similarly, GWTR & Arriva in the Czech Republic aren't covered, you have to use CD (Czech State Railways) trains. Again, the country-by-country guide gives details of what is and isn't covered in each country. The best resource for finding train times anywhere in Europe for use with a Eurail pass is the excellent German Railways online timetable at www.bahn.de/en. It covers data for the national rail operators across almost all of Europe. It doesn't hold data for Italo, FEVE, Euskotren, Regiojet, Leo Express or the Circumvesuviana and so on, only for the main national operators, so as a general rule, any train shown in its database can be used with a Eurail pass, although supplements or special fares must be paid on some trains. It also helpfully says 'please reserve' on trains which have compulsory reservations. Eurail does not cover the Ukraine, Belarus, Russia, Estonia or Latvia. For journeys on local, regional or suburban trains in virtually all countries, you can just hop on any train at any time, and show your Eurail pass to the conductor if and when asked. Easy! In Ireland, the Netherlands, Belgium, Luxembourg, Germany, Switzerland, Austria, Denmark & most of central & eastern Europe, seat reservation even on longer-distance inter-city trains is optional and there's nothing extra to pay on top of the pass unless you want a reserved seat, or couchette or sleeper on an overnight train. You can just hop on any train without a reservation, sit in any unreserved empty seat, and show your pass when asked by the conductor - even premier high-speed trains like Germany's superb ICE or Austria's railjet trains. Trains cannot 'sell out'. If you want a reserved seat (a sensible move for a long journey to avoid any chance of having to stand, especially at busy times) it only costs €3-€4.50. Passes retain their 'hop on any train' convenience factor in these countries. The key exceptions in these countries are as follows: Thalys high-speed trains between Brussels & Amsterdam and between Brussels & Cologne have compulsory reservation & a fee for railpass holders. A few scenic tourist trains in Switzerland require a seat reservation & small supplement, such as the celebrated Glacier Express & Bernina Express. In France, Italy, Sweden, Spain & Portugal, passholders must make a reservation and pay a fee for almost every inter-city journey, including international journeys starting or ending in these countries. You can reckon for planning purposes that this is €10 for every train ride. Sometimes it's less, sometimes more, notably a French TGV is either €10 or €20, and Thalys Paris-Brussels-Amsterdam is €15-€25. There are limited quotas for passholder places on Paris-Brussels-Amsterdam Thalys, Paris-Switzerland TGV-Lyria, Paris-Turin-Milan TGVs & Paris-Barcelona TGVs which can sell out if you don't reserve seats soon enough, but for other trains including French domestic TGVs and Spanish or Italian high-speed trains, passholders can always get seats unless the train is physically full, which might happen at Christmas or Easter or on a busy Friday afternoons, but generally there's always places available. Sleeper trains... You'll need to pay a supplement and make a reservation for a sleeper or couchette on overnight trains, in all countries. For budgeting purposes, reckon on €35 supplement for a couchette in a 5 or 6-bunk compartment or €55-€92 per person for a bed in a 2-bed sleeper. In eastern Europe it's cheaper, reckon on €15 or less for a couchette or €28 or so for a bed in a 2-bed sleeper. Remember that with an Eurail or InterRail flexi type pass, an overnight train only requires use of one pass day, see the explanation here. See the country-by-country guide for details of which trains need a reservation, and what these cost. You can make reservations in advance with the agency that sells you your Eurail pass by phone or in some cases online -although they may charge you a booking fee on top - or you can make them when you get to Europe at station ticket offices. In (only) a handful of cases, you can make reservations online with no added fees direct with the operator, as explained here. Can I avoid paying reservation fees? Sometimes you can avoid having to make a reservation & pay a fee fairly easily if you don't mind a slower or less comfortable journey. For example, different types of train may serve one route, and only the faster or more comfortable type requires a reservation. From Rome to Florence there are fast & frequent high-speed Frecciarossa & Frecciargento trains which carry a €10 surcharge, but on the same route there are a handful of reasonably comfortable fairly fast InterCity trains and slower more basic Regional trains, neither of which require reservation or extra fees for railpass holders. Between Brussels & Amsterdam there are high-speed Thalys trains taking 1h49 but with a €15 passholder surcharge, or hourly InterCity trains taking 2h52 with no reservation necessary and nothing extra to pay. The choice between speed, comfort or avoiding the reservation cost is yours! In other cases trying to dodge the fast train reservation fee is more trouble than it's worth, as it means taking a relay-race of local trains, taking hours longer and involving several changes of train. Just bite the bullet and pay the fee! I'd put Paris-Brussels, Paris-Amsterdam, Paris-Nice, Paris-Italy into this category. 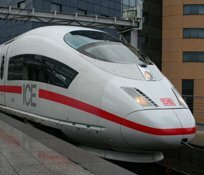 To find out if there is a reasonable no-fee alternative, try using the Europe-wide online timetable at www.bahn.de/en, but click More means of transport and un-tick the ICE & IC/EC boxes. What if my Eurail pass doesn't cover a city I want to visit? No problem, you just need to buy a ticket to cover the section of journey within the country that's not covered by your pass. So if you have bought a pass which covers Italy and Switzerland, but not Austria, and you want a quick side trip from Zurich to Innsbruck, in principle you'd need a ticket from the Swiss border to Innsbruck and back. Just remember that if you can book this a month or two in advance, a cheap ticket from Zurich to Innsbruck from just €19 may be cheaper than using an expensive pass to the border, then paying full-flex rate to Innsbruck -or even buying a cheap advance ticket from the border to Innsbruck, which could well be the same price as buying from Zurich, as like budget airline fares, these cheap tickets aren't related to distance. Eurostar London-Paris, London-Brussels: Eurail covers Eurostar trains between London & Paris or London & Brussels, and now trains within the UK, too. You can buy a cheap passholder fare for Eurostar to or from London if you have a global pass For details, prices & how to buy online, see the Eurostar page. London Underground visitor Travelcards: Once in London, a Visitor Travelcard is a good idea, giving unlimited bus and Underground travel: London Visitor Travelcard for US & Canadian travellers, click here if you live in Australia or NZ. How can I find out more? Where can I buy a pass? You can find out more about Eurail passes at www.eurail.com, wherever you live. This is the site run by the Eurail organisation themselves, who run the Eurail scheme on behalf of participating operators. Or at www.raileurope.com (if you live in the USA), www.raileurope.ca (if you live in Canada), www.raileurope.com.au or www.internationalrail.com.au (if you live in Australia), www.raileurope-world.com (if you live in New Zealand, Asia, Africa, South America) or on the official Eurail website, www.eurail.com. It's easy to buy a Eurail pass online at either www.eurail.com (wherever you live), www.raileurope.com (USA), www.raileurope.ca (Canada), www.raileurope.com.au or www.internationalrail.com.au (Australia) or www.raileurope-world.com (if you live in New Zealand, Asia, Africa or South America). Or buy from the official Eurail site, www.eurail.com. For a modest fee, DiscoverByRail.com offers expert help and can put together anitinerary to your specifications, with suggestions and advice on routes, trains, hotels, excursions. Andy charges around £35 per trip. You can make reservations and pay the necessary fees at station ticket offices either in advance or on the day of departure, sometimes up to an hour or two before the train leaves, sometimes right up to departure time. Just show your rail pass at the ticket window and ask for the reservation. Many European railway staff speak some English, but if you don't speak the language, just write down what you want and show it to the booking clerk. Easy! In Italy, you'll find it easier to use the self-service touch-screen ticket machines to make your passholder reservations, it's really easy, see an illustrated step-by-step guide to using these Italian ticket machines. I recommend downloading the Railplanner App for your smartphone from www.eurailgroup.org/promos/railplanner_app. This is this a great Europe-wide timetable app which you can use to check train times whilst on the move - the timetable works offline, so no data cost issues - and you can also make passholder bookings within the app for Eurostar, Thalys & Trenitalia high-speed trains, with e-tickets delivered to your smartphone with no added fees, just the reservation cost itself. First, a reality check: There isn't a magic website that can do all passholder reservations at cheap prices with no fees all in one place. Different operators use different reservation systems, many operator websites only sell regular tickets not passholder reservations. However, some passholder reservations can indeed be made online, with no added booking fees and simply printed out or collected at the station. Go to the Eurail & InterRail reservations page and select the country where the journey you want to book starts. I'll list major train services from that country to neighbouring countries and tell you if they can be booked online, and if so where and how. Eurail is the main pass range for overseas visitors to Europe, but several countries also have their own national railpasses which can be worth knowing about as they can often be better value if you are just visiting that specific country. Paris Visite card: Unlimited travel on the Paris metro, and more. Eurail passes for France cover the national rail operator (SNCF) but not the Paris metro. Check details, prices & buy a Paris Visite card at www.raileurope.com (if you live in the USA or Canada) or www.raileurope-world.com (if you live in Asia, Africa, South America or Australia/NZ). The Swiss Travel Pass for Switzerland, not to be confused with a single-country Eurail pass for Switzerland. If you are touring Switzerland, definitely compare the costs and benefits of a Swiss Pass with those of a Eurail Pass for Switzerland. Swiss passes cover a few more private operators than Eurail passes do, but all the operators most visitors are likely to want are covered by both Eurail and the Swiss Travel Pass. Unlike many other railpasses you don't have to rack up a huge mileage to make a railpass worthwhile in Switzerland. And as virtually no Swiss train requires a supplement or reservation, a railpass still gives you that wonderful hop on, hop off convenience that railpasses have lost in France, Spain or Italy where every long-distance train now requires a reservation. Choose between a Swiss Travel Pass giving continuous free travel or a Swiss Travel Pass Flex giving so many days in a month. There's more advice on Swiss Passes here. You can check Swiss Pass prices & buy a Swiss Pass at www.swisstravelsystem.com - prices in CHF, USD, GBP or Euros and you simply print out your own pass. As I write this, the Eurail one-country Switzerland pass is significantly cheaper than a Swiss Travel Pass with very little significant difference in coverage. You can check Swiss point-to-point fares at www.sbb.ch. Map of the Swiss rail network. German Rail pass for Germany. Only for people not resident in Europe, Russia or Turkey. A good deal, as no supplements or reservations are required on most German trains, you just hop on and show your pass. For comparison, you can check German point-to-point fares at www.bahn.de/en, there are some amazingly cheap point-to-point fares available if you're prepared to pre-book and commit to a particular date and train. You can check prices & buy the German Rail Pass at www.raileurope.com (if you live in the USA), www.raileurope.ca (if you live in Canada), www.raileurope.com.au (if you live in Australia), or www.raileurope-world.com (if you live in NZ, Asia, Africa, S.America). Spain Pass for Spain. Renfe (Spanish Railways) offers its own Spain Pass, not to be confused with the single-country Eurail pass for Spain. Renfe's Spain Pass works differently from the Eurail Spain pass, as it gives a set number of journeys, not unlimited travel - you can pay for between 4 and 12 journeys in a one-month period. However, the Renfe Spain Pass is usually better value than the Eurail Spain pass as reservations are included, there are no hidden extra reservation costs as with Eurail. Eurail holders must typically pay a €6 to €10 reservation fee per journey on almost all long-distance Spanish trains, but with Renfe's Spain Pass it's all included, reservations are free and can be made online. You can buy a Spain pass either online at www.renfe.com/EN/viajeros/ viajes_internacionales/spainpass or www.petrabax.com. The pass is emailed to you. For comparison, you can check Spanish point-to-point fares at www.loco2.com (in €, £ or $) or www.renfe.com (in €) or www.petrabax.com (in US$ with a small mark-up) - the fares quoted online include the necessary reservation. Portuguese Rail pass for Portugal. You can check Portuguese point-to-point fares at www.cp.pt. Most Portuguese long distance trains require reservation before boarding. Check details, prices & buy at www.raileurope.com (if you live in the USA or Canada) or www.raileurope-world.com (if you live in Asia, Africa, South America or Australia/NZ). BritRail Pass for Britain. Search for Britrail at Check details, prices & buy at www.raileurope.com (if you live in the USA or Canada) or www.raileurope-world.com (if you live in Asia, Africa, South America or Australia/NZ). Reservation is never compulsory on British trains, and there are no supplements to pay, so you can always just hop on and show your pass, making BritRail passes very easy to use. For comparison, you can check British point-to-point fares using the online form here or at www.nationalrail.co.uk. There's advice on understanding the different types of UK rail fare on the Train travel in Britain page. For unlimited travel on the London Underground for 3 or 7 days when staying in London, you can get a London Visitor Travelcard, easily bought in London at an Underground station. The Benelux Tourrail pass covers the Netherlands, Belgium & Luxembourg. Check details, prices & buy at www.raileurope.com (if you live in the USA or Canada) or www.raileurope-world.com (if you live in Asia, Africa, South America or Australia/NZ). The Eastern Europe pass covers Austria, Hungary, Czech Republic, Slovakia. It used to cover Poland too, but I believe they pulled out. Available to anyone except residents of the countries it covers. You can buy this pass at www.acprail.com (wherever you live, including UK - enter European East Pass in their search box) or www.raileurope.com (if you're in the USA & Canada) or www.raileurope-world.com (if you're in Asia, Africa, South America or Australia/NZ). The Balkan Flexipass gives unlimited 1st class travel on the national rail networks in Bulgaria, Bosnia & Herzegovina, Greece, Montenegro, Republic of Macedonia, Serbia, The Serbian Entity of Bosnia Herzegovina, and Turkey, with a choice of 5, 10, or 15 days of unlimited train travel in a one-month period (Romania ceased to be a participant from 2017). You can buy one at www.acprail.com (wherever you live, including UK - enter Balkan Flexipass in their search box), www.raileurope.com (if you live in the USA or Canada) or www.raileurope-world.com (if you live in Asia, Africa, South America or Australia/NZ). The Man in Seat61 says, "Train travel is cheap in the Balkans, like Belgrade to Sofia €30, Sofia to Bucharest €30, so don't blindly buy a €140 railpass without being reasonably sure it will save you money for what you plan to do with it. You need to be doing quite a lot!" France Pass - this is discontinued for 2017 and replaced with the Eurail Single-Country Pass for France, which brings France back into the Eurail fold! The European Rail timetable has train, bus & ferry times for every country in Europe (eastern and western) plus currency and climate information. It is definitely worth buying if you're planning an extensive tour with a Eurail pass - having your own comprehensive timetable puts you in control of your own trip, and will save you hours in queues for station information desks or struggling with station timetables which show only the most basic information. It costs around £15.99 from www.europeanrailtimetable.eu. The European Rail Map of Europe is easily the best and most comprehensive map of train routes all over Europe. High speed and scenic routes are highlighted - well worth buying to go with your rail pass! Buy online at www.europeanrailtimetable.eu (with worldwide delivery). There are other maps & even two good European Rail Atlases, see here. The all-Europe online timetable: You can check train times for almost any European train journey online at www.bahn.de/en. This is an extremely useful resource for trip planning, provided by the German Railways. If you're planning a grand tour, I strongly recommend investing in a European Rail Timetable for in-depth train information, and the relevant Lonely Planet Guide for in-depth country information on the sights to see, places to stay, places to eat. Alternatively, the Europe by Rail guide combines basic train info with country information. Hotels: I recommend www.booking.com as you can usually book hotels with free cancellation. That means you can sort your hotels without any risk months before train bookings open, and even change your plans at no cost usually up to 24 hours before checking into the hotel. Hotel price comparison: I also suggest www.hotelscombined.com for a hotel price comparison to find the cheapest seller of a given hotel. It's a remarkable site, it checks all the major hotel booking sites at once, including Expedia, Hotels.com, Agoda, Booking.com and many more. Prices for the same hotel can vary significantly between different hotel booking sites, this finds you the cheapest. Hotels will almost always look after your bags for free if you need to check out and catch an afternoon or evening train, or if you arrive in the morning before you can check in to your room. www.tripadvisor.com is a huge resource, and a good place to browse independent travellers' reviews of all the main hotels.